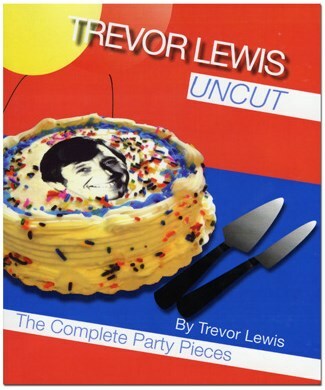 This volume contains the complete contents of all of his books, plus new material-Unexpected Party Pieces-previously unpublished. The Flowering Bouquet • The Telescope • Take Care • Happy Birthday • The Road Code • Happy Birthday Blind • Tommy's Teeth • Cards Across • Cheers! • The Breakaway Wand • George Blake's The Silver Sceptre • The Safe • T.I.P.S. • The Flashlight • Wandering Wand • Magic Painting • Silks from Newspaper • Road Safety Chicken • The Cuckoo Clock • Ditching the Flap • Production with a Message • Twentieth Century Minus • The Flower Pot • Missmade Flag • Cards Across Again • The Magic Umbrella • TV Start • Opening the Show • Abracadabra Rope Opening • Before Cards Across • After Cards Across • Pump Wands • Close Up for Children • Tantalizing Traffic Lights • Beacon Ball • Magic Lesson on Road Safety • Sunday Egg • How to End on Applause • Floppy Flower Opener • Little Wonder Box • The Balloon Routine Competition • Another Mix-Up • The Black Cat • The Clatter Box Camera • Time Will Tell • The Tumbling Blocks • The Pop-Away Wand • Take Care • Children?s Chop Cup • That's Torn It • Up Your Sleeve • The Rainbow Silk Routine • Cane Opener • Kid Glove • The Cotton Wool Necklace • The Adder • Cards Across Conclusion • The Broken Window • It's Curtains! • Freezer Fun • The Beads of Prussia • Mis-Made Traffic Lights • Cigarette Regret • Lesson in Magic • Six Oblivious Students • The Magic Wand Banner • Wand-erful Tubes • The Miser's Dream • Fez Egg Bag • Trevor's Torch (Flashlight Fun) • Balloon Business • Honk-Honk • Silly Billy • Wistful Wand • Put Some Life Into Your Die Box • Rabbit Wand Routine • Just in Case • The Magic Bag • The Christmas Box • It's on the Slate • The Magic Lesson • A Helping Hand • Block Buster • Christmas Tree Routine • The Firework Trick • Golden Girl • Road Safety Puzzle.